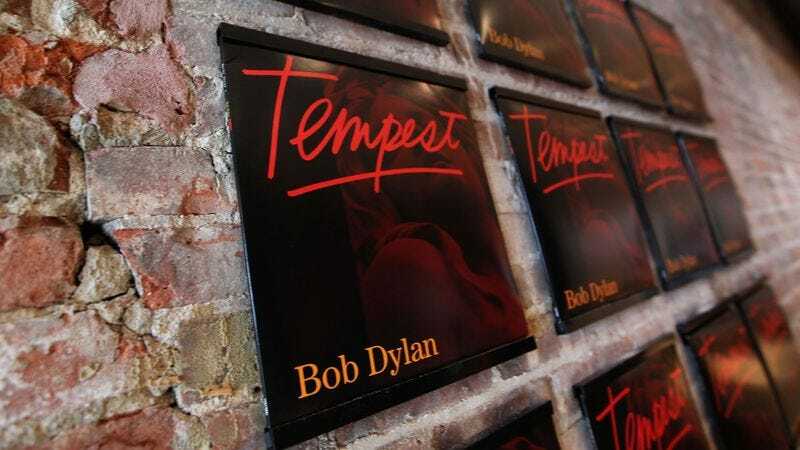 LOS ANGELES—Singer-songwriter Bob Dylan’s posthumously recorded 35th studio album Tempest, released Sept. 10, has been enjoying widespread acclaim from top music critics across the country, with many praising the late Dylan’s largely undiminished songwriting skills. “While he may never again match the series of masterworks he recorded in the ’60s and ’70s, when he was alive, Dylan has entered a true late-career renaissance since passing away,” Chicago Tribune music critic Greg Kot wrote in his review of the fourth album Dylan has recorded since his death in 2005. “Dying has lent his voice a certain rough yet poignant gravitas. One can clearly hear how the dead tissue in his vocal cords has deteriorated to the point where there’s almost nothing left. Nothing, that is, except the genius of a master songwriter still in full command of his powers, even seven years after expiring.” While critics have almost unanimously found Dylan himself to be in fine form on the new album, a number of reviews have criticized the playing of his backing band as lifeless.